Discover how one organization was able to maximize patient outcomes with IBM business process software. Learn how IBM Operational Decision Manager on Cloud enables you to use business rules to provide critical differentiation. Watch as experts illustrate how to manage decisions on the IBM public cloud environment. Discover how the cloud has proven to be a great equalizer, opening a new venue for speeding innovation and creating value. 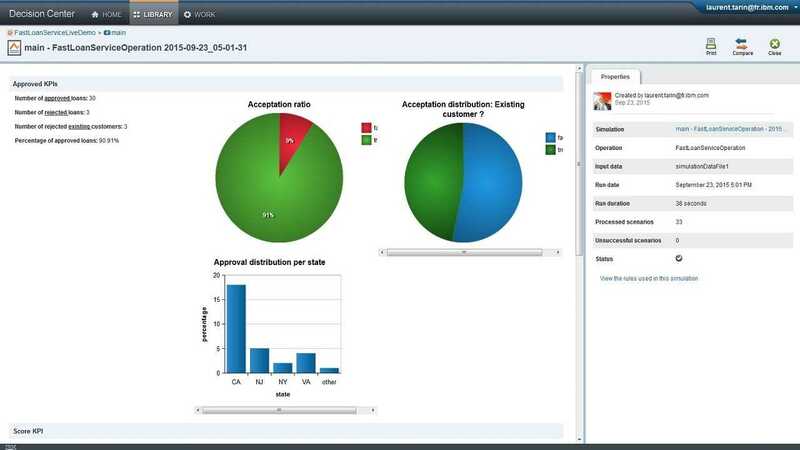 View the latest updates and capabilities from IBM Operational Decision Manager on Cloud. Learn what operational decision management is and how it can benefit your organization. Learn how your organization can start business rules management more quickly and efficiently. Learn how the Business Rules service can minimize code changes by keeping business logic separate from application logic.